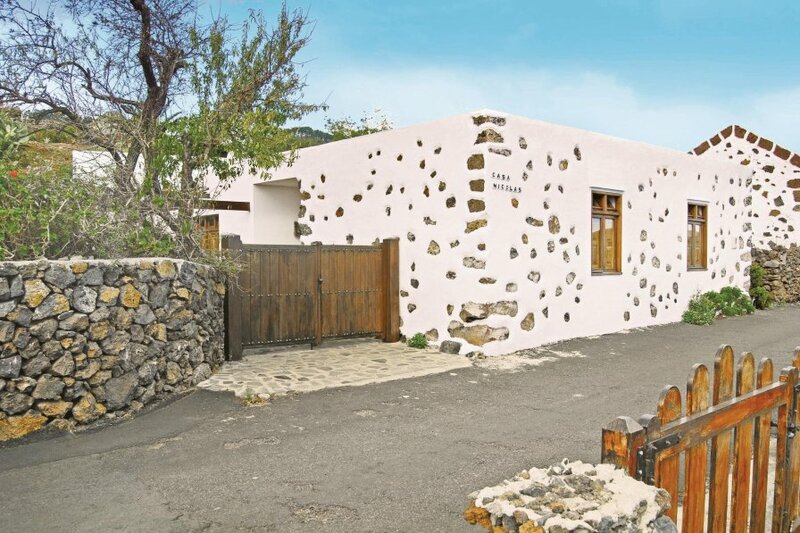 This house is in the quiet outskirts of the village of El Pinar, in the sunny south of the island El Hierro. This perfectly renovated property is built in typical Herreño style. This house is in the quiet outskirts of the village of El Pinar, in the sunny south of the island El Hierro. This perfectly renovated property is built in typical Herreño style. 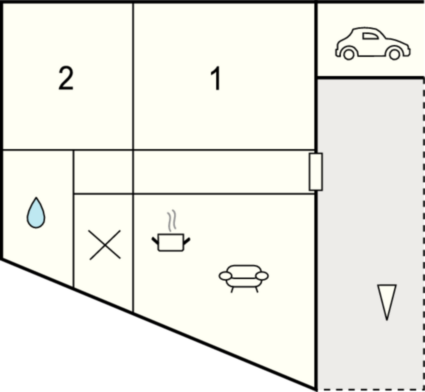 With a large kitchen, two spacious bedrooms and a bathroom, the house leaves nothing more to be desired. It has a beautiful garden with fruit trees and a wonderful terrace with barbecue facilities. Whether it is year-round swimming in Tacoron, scuba diving and sea food in the picturesque fishing village of La Restinga or walks in the mountain forests; all of these can be reached in just a few minutes. This villa is made from wood and brick and was originally built in 1930 and refurbished in 2001. The agent has rated it as a three star property so it is a well-kept villa, equipped with standard furniture. It is also good value for money. This villa has sea view and is located in Las Casas, only 1km from El Pinar. It is set in a good location: there is a restaurant 1km away.